Rookery. 1929. 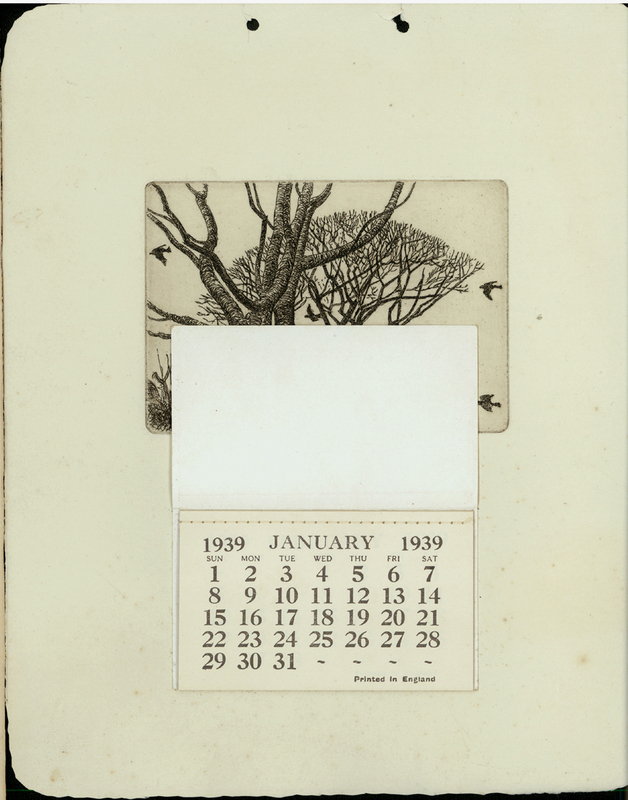 Etching with 1939 calendar affixed to the sheet 3 3/8 x 4 7/8 (sheet 10 7/8 x 8 3/4). 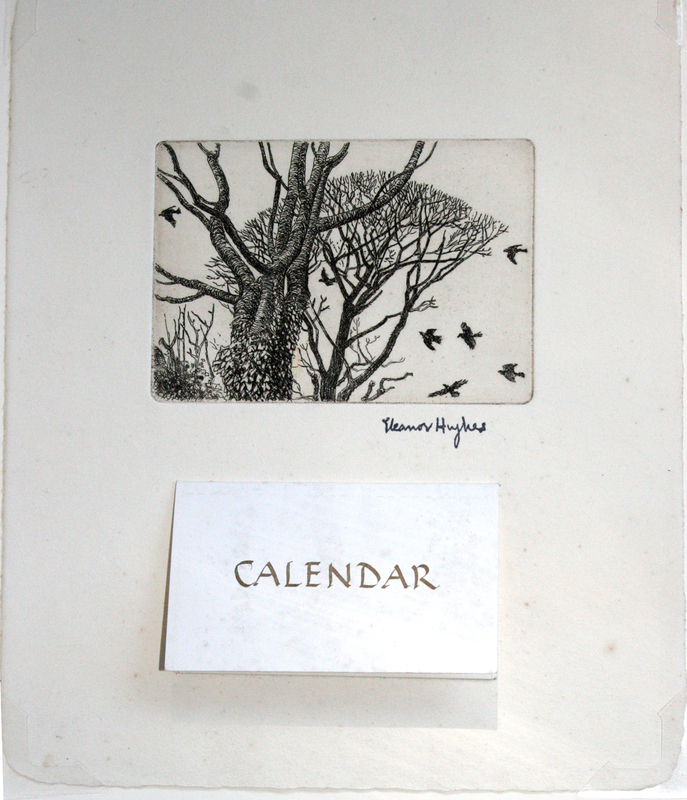 Stamped signature. $175.